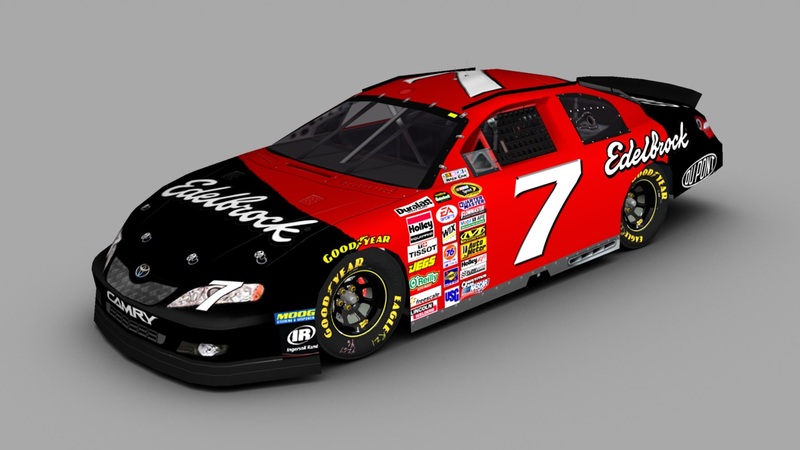 A Fictional Edelbrock's Paint Scheme, on a Toyota's 2007 Camry template. Credits: RSJR14 and Zone15 for template, The Mod Squad for render, SRD for contingencies, Google for logos and numbers. Enjoy! It's a pleasure!!! Thank you, Phil!